After 18 months, dozens of meetings, and involvement from over 60 stakeholders, the Commonwealth of the Northern Mariana Islands has finalized its third Conservation Action Plan. 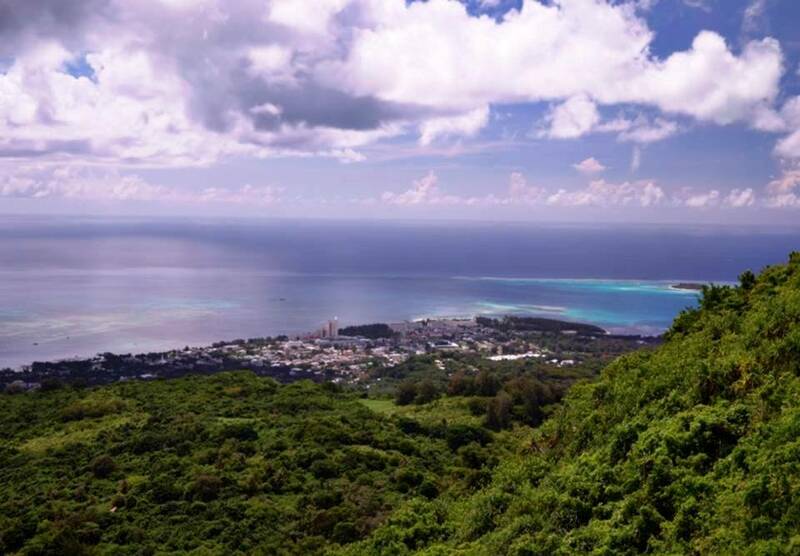 This plan targets the Garapan-area watershed and the heart of Saipan’s tourism district. The Garapan Watershed, formally known as “West Takpochao Central,” was listed as a priority watershed for the CNMI back in 2010 along with the Laolao Bay watershed on Saipan and the Talakhaya watershed on Rota. As of November 2013, natural resource managers, non-profit organizations, and community members now have a comprehensive Conservation Action Plan (CAP) to begin to execute. These targets are considered vital to the natural and cultural character of the Garapan watershed and specific actions need to be taken to protect them for the future. Participants in the CAP process also identified threats to these targets; the most worrisome being polluted runoff, climate change, and invasive species. Strategic actions to decrease these threats include using stormwater best management practices, implementing engineering solutions, increasing enforcement capacity, conducting outreach within the watershed, promoting stewardship programs, and continuing research and monitoring of key resources. Now that the watershed has been assessed and priorities named, the stakeholder group can begin to implement specific actions to mitigate threats and preserve the identified conservation targets. Garapan is the heart of Saipan’s tourism and business district, so positive outcomes for the watershed will quickly translate to a positive impact on visitors’ experiences and the local economy. 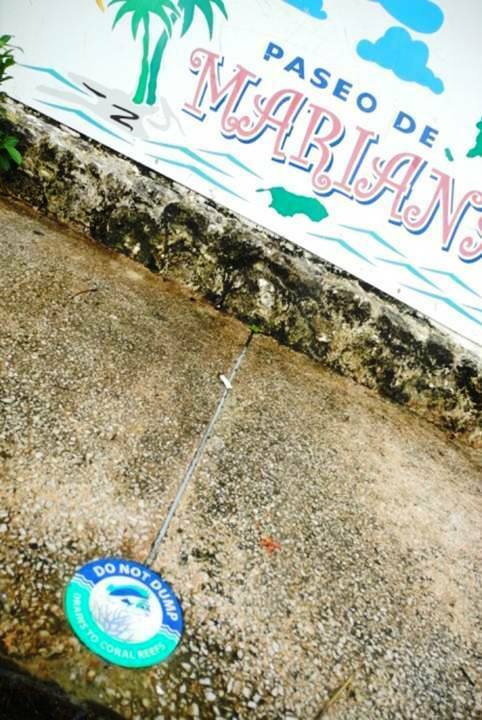 With this idea in mind, partners across Saipan are rolling up their sleeves to get watershed projects started. Stay Tuned: Neighborhood Watch…for the ocean! Hawaii’s Makai Watch is a collaborative program where communities, NGOs, and the Department of Land and Natural Resources (DLNR) work together to improve stewardship of marine and coastal resources. The goal of Makai Watch is to enhance the management of coastal and nearshore marine resources by providing training for community members so they can assist the Department by conducting outreach activities and supporting enforcement of administrative rules by documenting and reporting violations. A significant secondary benefit of the program is stronger relationships between communities and managers and improved place-based knowledge for all involved. This innovative program is modeled after the successful Neighborhood Watch programs. 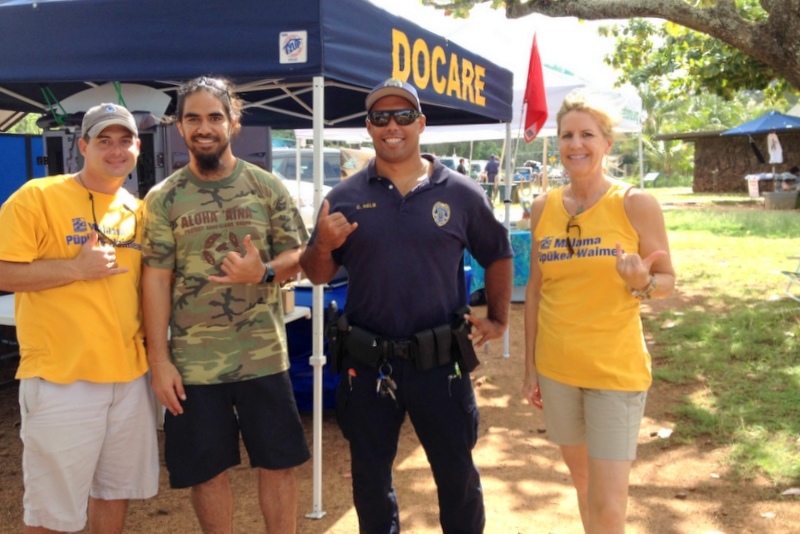 In communities statewide, Makai Watch volunteers serve as the eyes and ears for the State’s Division of Conservation and Resource Enforcement (DOCARE) officials. Volunteers also participate in awareness raising, outreach, and human-use and biological monitoring activities. On Tuesday, November 19th (5-6pm HST) Anne Rosinski and Luna Kekoa, current and former Hawaii Coral Reef Management Fellows, will co-host a local radio show to talk about, “Many Hands Make Light Work: Hawaii’s Makai Watch Programs.” It will feature special guests Liz Foote from the Ka`anapali Makai Watch and Coral Reef Alliance and Jenny Yagodich, Director of Educational Programs from Malama Pupukea-Waimea. Luna now works with DLNR-DOCARE as the State Makai Watch Coordinator. Tune in to the monthly series, All Things Marine on Hawaii’s Tomorrow 760 AM. For folks in Hawaii, tune in on your drive home from work or listen as it streams live at www.hawaiistomorrow.com. A recorded podcast will also be available on the website after the show airs at http://www.cosee-ie.net/programs/allthingsmarineradioshow. 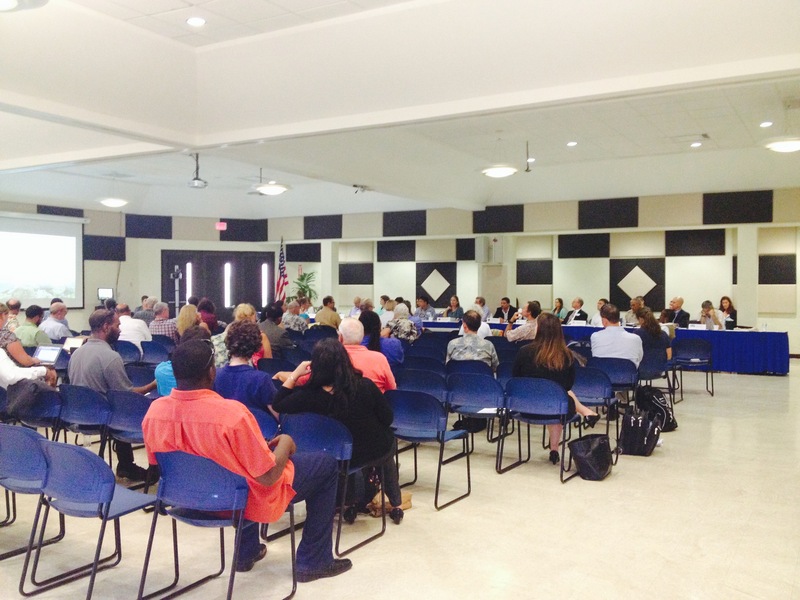 AIC members and affiliate participate in the 30th U.S. Coral Reef Task Force. On November 15 at the U.S. Coral Reef Task Force (USCRTF) meeting in St. Croix, the U.S. All Islands Coral Reef Committee (AIC) issued a call to action on their two top priorities. The AIC’s priorities are 1) supporting the reauthorization of the nation’s Coral Reef Conservation Act and 2) expressing the concerns over the NOAA-proposed listing of 66 coral species under the Endangered Species Act. The AIC jurisdictions—American Samoa, the Commonwealth of the Northern Mariana Islands, Florida, Guam, Hawai’i, Puerto Rico, and the U.S. Virgin Islands—are home to a large percentage of the nation’s ecologically, economically, and culturally important coral reef ecosystems. Reauthorizing the Coral Reef Conservation Act (2000) would put into place vital measures to protect and manage ecosystems in the U.S. In the AIC jurisdictions, reauthorization would expand and clarify support for conservation and management of coral reefs by leveraging resources and management compliance as well as clarifying the responsibilities of federal agencies to respond to catastrophic events. “It’s been 13 years since the (Coral Reef Conservation) Act was first passed and our coral reefs need this reauthorization now, more than ever before. It is important that the Task Force support the reauthorization effort,” said AIC Chair, Fran Castro. The Coral Reef Conservation Act is a strong tool for the protection and management of coral reefs, while the proposed coral listing under the Endangered Species Act will create a great administrative burden with little benefit to improving coral reef health and resilience. Last November, the National Oceanic and Atmospheric Administration proposed to list 66 species of corals under the ESA: 7 in the Caribbean and 59 in the Pacific. ESA is not the right tool to protect these corals, particularly when the primary threat driving the consideration for ESA-listing is global climate change. This listing would put more strain on already limited resources in the jurisdictions, potentially taking away from local conservation, recovery, and management efforts. Since late 2012 when NOAA held its public hearings, new and significant information on coral species distribution and abundance have been provided as well as a refinement of the certainty of climate change predictions with respect to impacts on corals. This information will greatly improve the data available to evaluate the “risk of extinction,” the principle element in deciding the merit of listing. The AIC requested, through the USCRTF, that NOAA reevaluate their approach and analysis with this new information and use it to determine next steps. “We hope that by elevating the reauthorization and listing issues to the Task Force, federal and local governments will collaborate extensively to get the best possible outcomes,” said Castro. The U.S. All Islands Coral Reef Committee (AIC) represents the combined voice of the coral reef jurisdictions of the U.S. and Affiliates and serves as the collected voice for local governments in the federal process to conserve coral reefs. 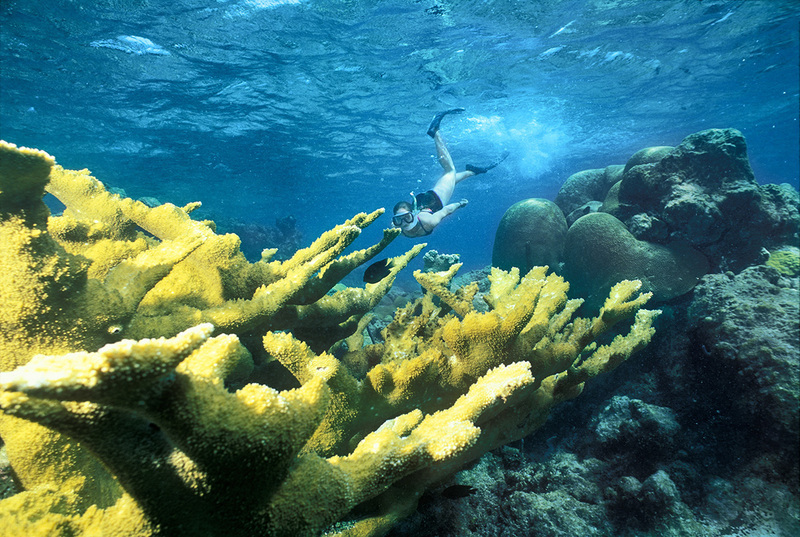 The AIC is headed to the 30th U.S. Coral Reef Task Force, November 12-15, in St. Croix, U.S. Virgin Islands. We have a lot to discuss, numerous updates to share from each of our jurisdictions, and intend to make full use of our time all together. Amidst learning more about the resources of USVI and a couple of their top watershed projects, we’ll also be meeting with our main Federal partners. Stay tuned here and on our Facebook site for more information as we’ll be sending updates from the Task Force meeting.